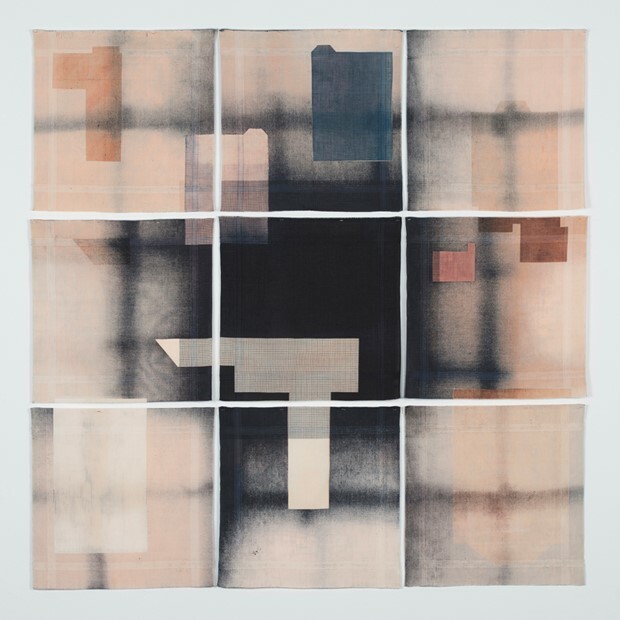 Joanna is a printed textile artist and designer and produces one-off works for domestic interiors, site-specific, often large-scale commissions for public and corporate spaces, and utilitarian fabrics for the home. Work has been made for a variety of environments – from castle to quayside, wall-hangings to temporary external installations. Joanna's work is a response to observations of daily life within the domestic interior. She takes inspiration from the smallest details of household objects to larger architectural elements and explore their interplay and juxtaposition, as well as the effects of time and light, and how they change the sense of a place, revealing and concealing the fabric of our lives. Although the origin of chosen motifs is not necessarily overtly apparent, the abstraction process aims to imbue the work with a quiet familiarity and capture a particular moment, atmosphere or environment. Working on natural fibres such as linen and wool, she meticulously dyes and screen-prints everything by hand, developing bespoke colour palettes for each project. Intrinsic to the visual structure of her work is how she ‘carves out’ the surface of cloth through the push and pull of removing and adding colour, creating positive and negative space. Depth and transparency are achieved through a complex series of layers, creating space that is architectural and ethereal. Through this process, elements are held together by delicate control of the printing process. Joanna trained at University College for the Creative Arts (Farnham) and at Glasgow School of Art. Working from her studio in Glasgow, she teaches courses and one-to-one, and is also a visiting lecturer on various degree and post-graduate courses around the country. 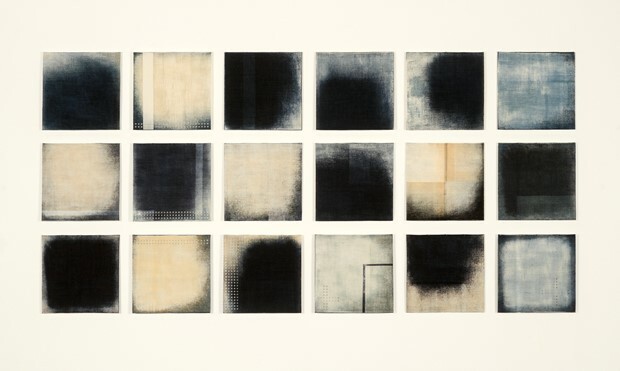 Joanna is a member of the 62 Group of Textile Artists and the author of ‘Dyeing and Screen-Printing on Textiles’ (A&C Black 2005 / Bloomsbury 2011). Her work has been exhibited widely both in the UK and abroad and has been featured in numerous books and magazines.